Conran are recognised as being in the top 1% of Estate Agents Nationwide, winning awards since 2005. 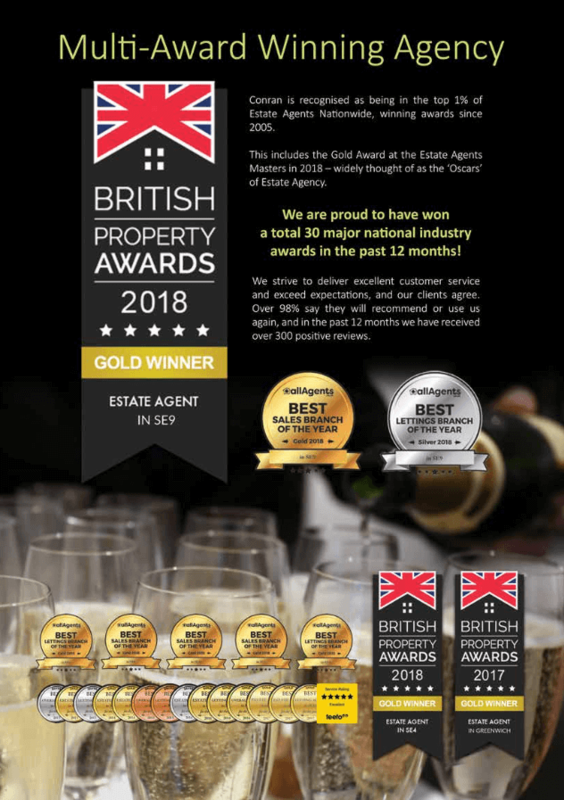 This includes the Gold Award at the Estate Agents Masters in 2018 – widely thought of as the ‘Oscars’ of Estate Agency. We are proud to have won over 30 major national industry awards in the past year! We strive to deliver excellent customer service and exceed expectations, and our clients agree. Over 98% say they will recommend or use us again, and in the past 12 months we have received over 300 positive reviews.